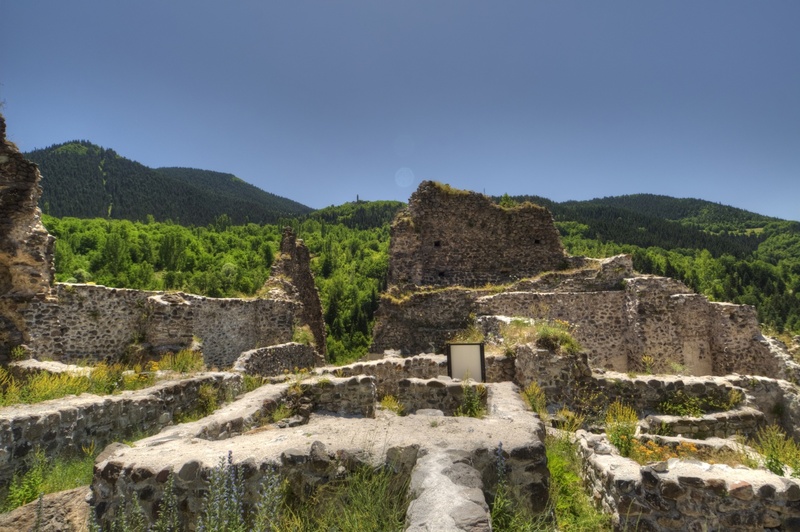 Şavşat Castle is one of the main tourist attractions along the Artvin-Ardahan road. Its existence dates back to the medieval times. 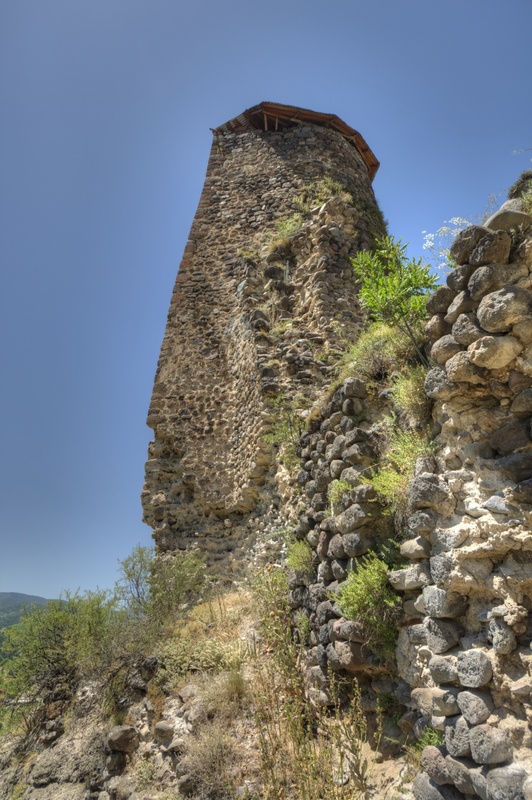 The castle, perched on a steep rock at the altitude of 950 meters asl, offers a unique opportunity to explore the perfect example of the fortress constructed by the Bagratid dynasty of the Kingdom of Georgia. The castle is a spectacular monument of Georgian architecture in the region of the Pontic Mountains. It is a beautiful area of dramatic landscapes, vividly described by Robert W. Edwards: "The entire region is covered by a tightly packed network of mountains; the very narrow canyons are cut by streams and rivers which render the rock faces in unusually sharp relief. The scale of the surroundings is so enormous and the vertical walls of the cliffs rise so abruptly that the visitor feels diminished and even threatened." The Kingdom of Georgia was a medieval state that was formed at the beginning of the 11th century by Bagrat III the Unifier. He had been the King of Abkhazia from 978, but later, through conquest and diplomacy, he expanded his realm, becoming the first king of the Kingdom of Georgia. The kingdom reached its Golden Age during the reign of King David IV and Queen Tamar the Great of the Bagratid dynasty, in the period from the 11th to 13th century. Most probably, the castle had been erected earlier, when the region was a part of the Principality of Tao-Klarjeti. 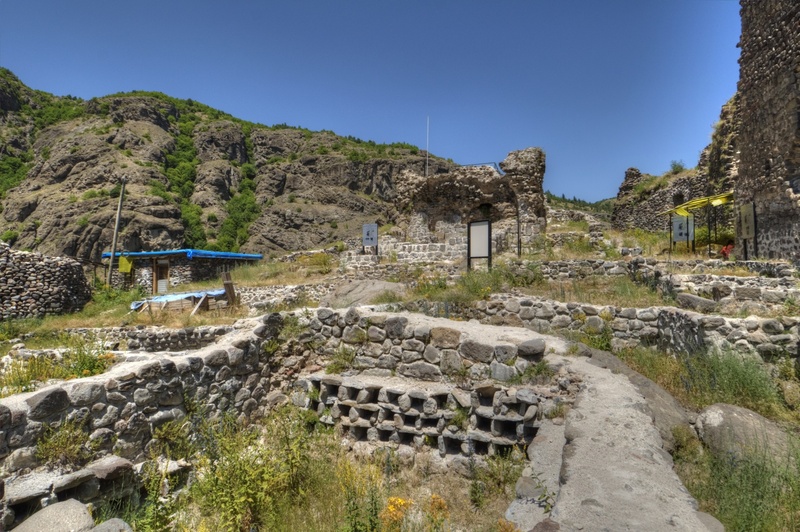 It existed in the areas of the modern provinces of Ardahan, Artvin, Erzurum, and Kars in north-eastern Turkey, and the parts of southwestern Georgia. Ruled by the Bagratid dynasty, the Principality of Tao-Klarjeti played an essential role in the unification of all Georgian principalities into a single feudal state of the Kingdom of Georgia. The precise date of the castle construction remains unknown. Robert W. Edwards explains the problems that the researchers face when trying to establish some basic facts about this fortress: "We know almost nothing about the specific history of Savgat Kalesi because its name is synonymous with - and thus inseparable from - the district for which it is the administrative centre." 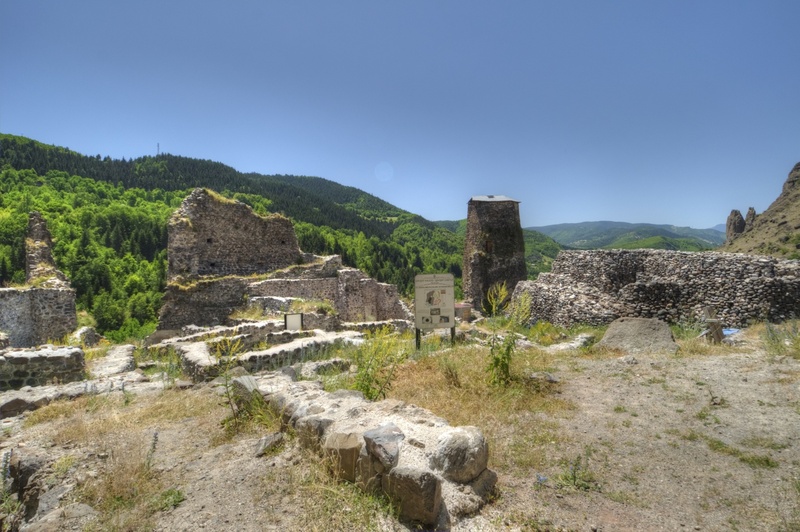 The present name of the castle is the distortion of Shavsheti, one of the principalities that existed within the Principality of Tao-Klarjeti. Shavsheti encompassed the area of today's Şavşat, Borçka, and Murgul districts in Turkey as well as Lower Machakheli in Georgia. The most commonly given period of the castle construction is the 10th century, and this information is repeated on the information boards placed within the fortress. However, it is possible that the fort in this location had been erected much earlier. In the early 9th century, Adarnase of Tao-Klarjeti, the founder of the Georgian Bagratid dynasty, acquired the lands of Shulaveri and Artani from the Georgian Chosroid ruler Archil, in exchange for the vassalship. His son, Ashot I the Great, fought to enlarge the Bagratid territories and sought Byzantine protection against the Arab raids. 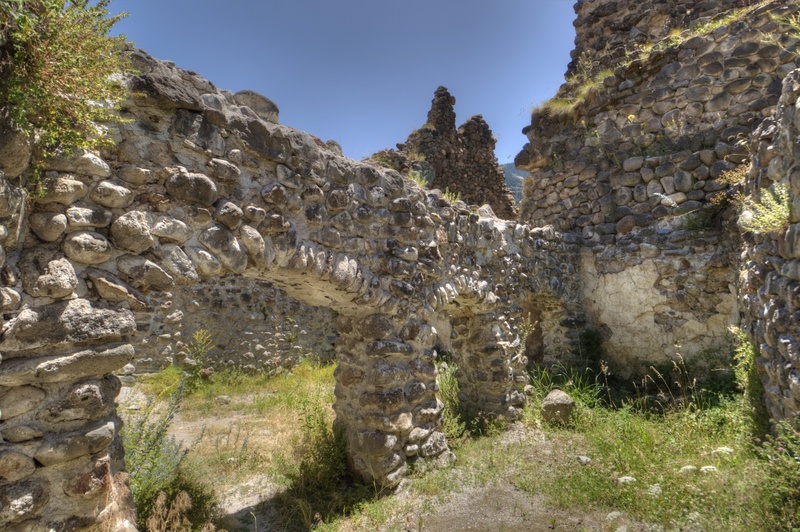 As the rulers of the region, these early Bagratids might have rebuilt the earlier fortress that had been burned in 744 by Marwan II, a Umayyad caliph, who fought in the region against the Armenian Bagratuni dynasty. 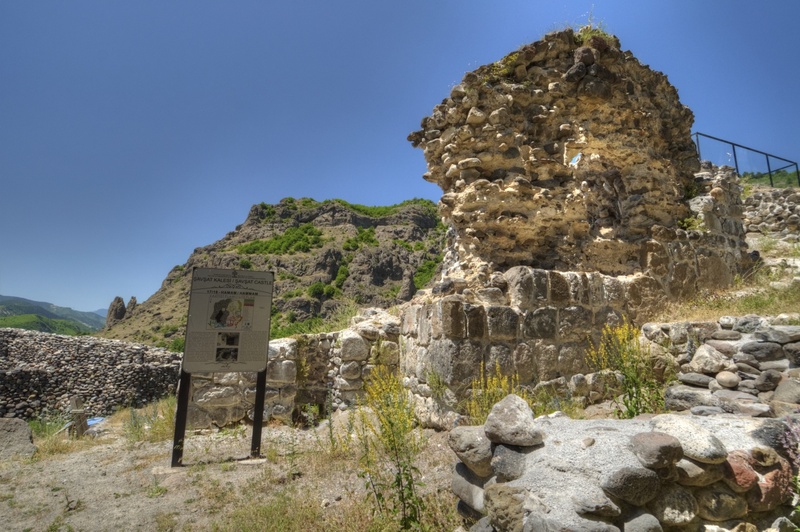 In the 11th century, the chronicler Sumbat Davitis Dze reported in his history of the Bagratids, "The Life and Tale of the Bagratids", about the monastery chief (archimandrite) of Tbeti, Bishop Saba Mtbevari, who built a castle and a tower near his monastery in 1027/28. He called the castle Sveti, meaning a pillar. 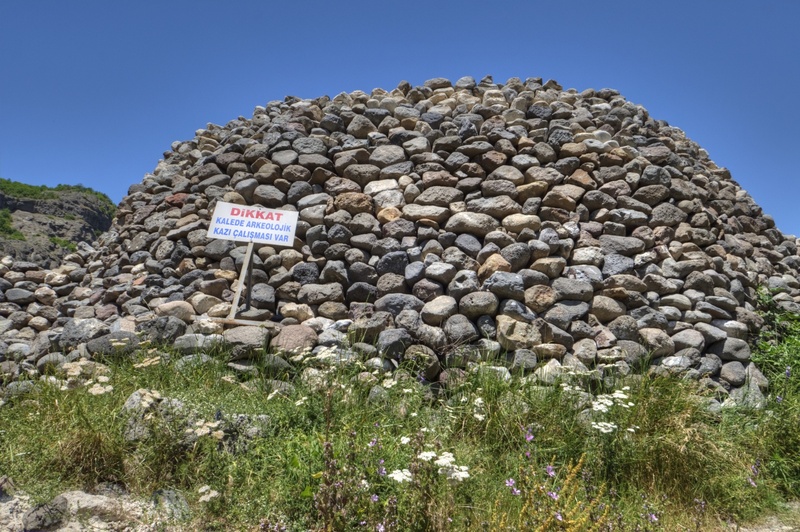 It is possible that this meant the fortress of Şavşat. 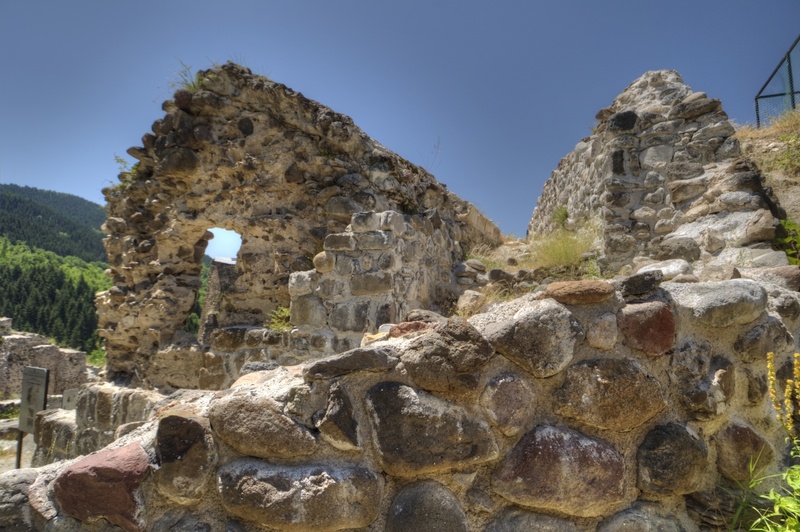 According to Sumbat, Bishop Saba and some noblemen from Shavsheti could have defended the fortress against a Byzantine invasion of 1028. 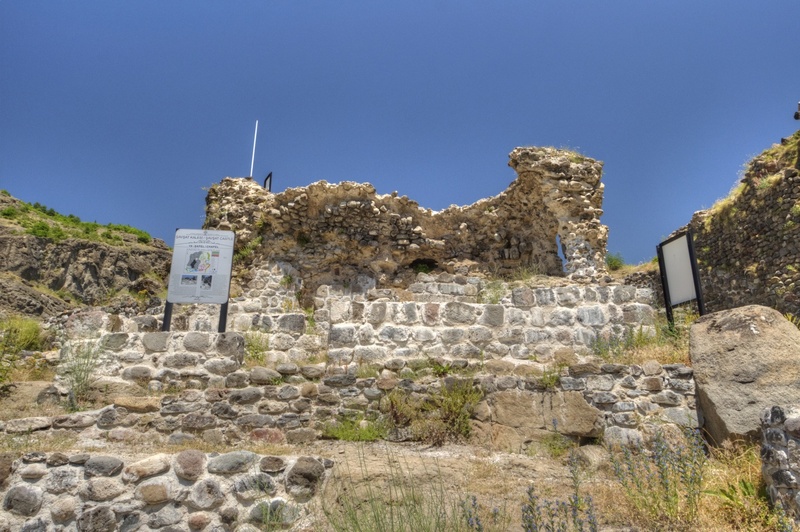 First, the Byzantines overran the Georgian borderlands and besieged Kldekari fortress, but failed to conquer it and marched on the region Shavsheti. 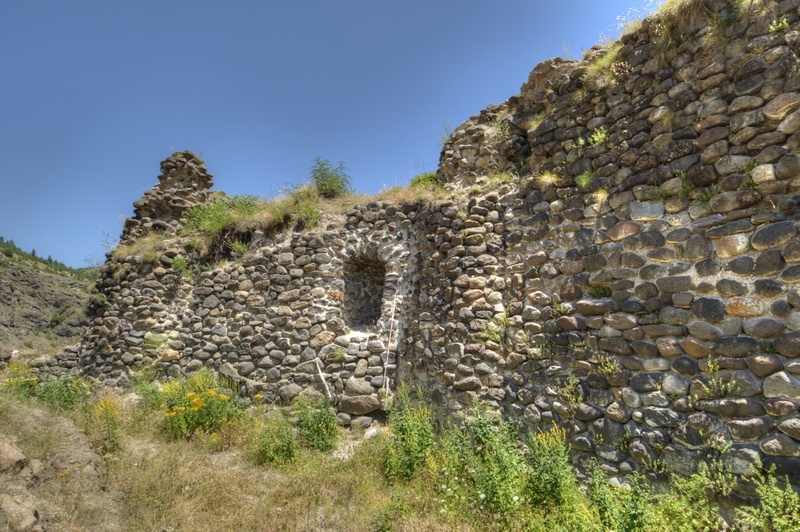 In the 1060s, the Seljuk army led by Alp Arslan conquered large areas of Armenia and Georgia, but the Şavşat Castle apparently remained in Georgian hands. 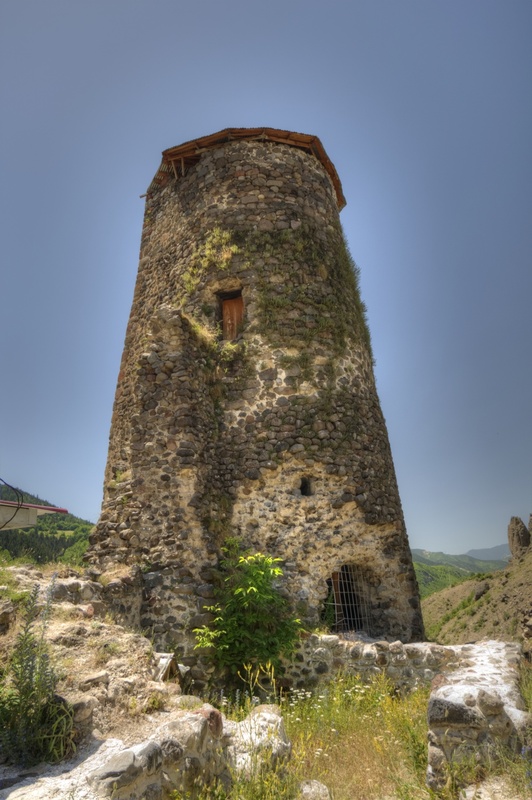 It was still controlled by the Georgians in the 12th century. 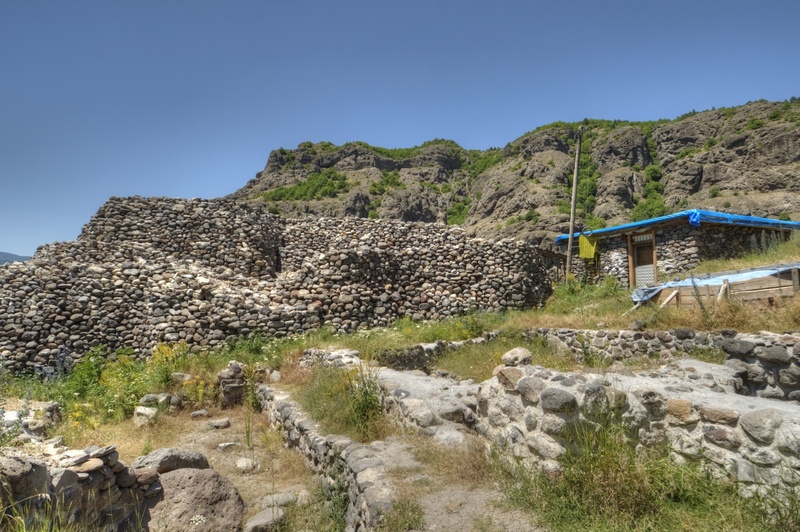 In the early 1190s, Guzan Abulasanisdze, a powerful feudal lord of Klarjeti, Tao and Shavsheti, rebelled against Queen Tamar of Georgia. 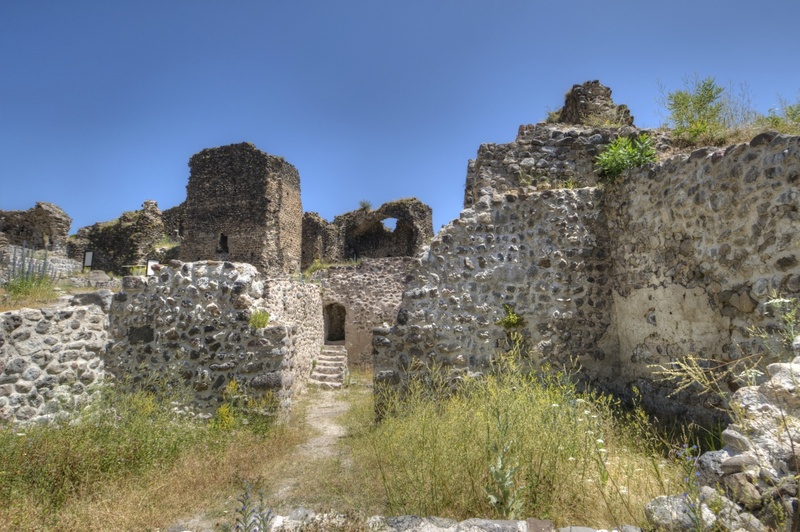 He used Şavşat Castle as a base of his revolt but was eventually crushed by the Queen's army. 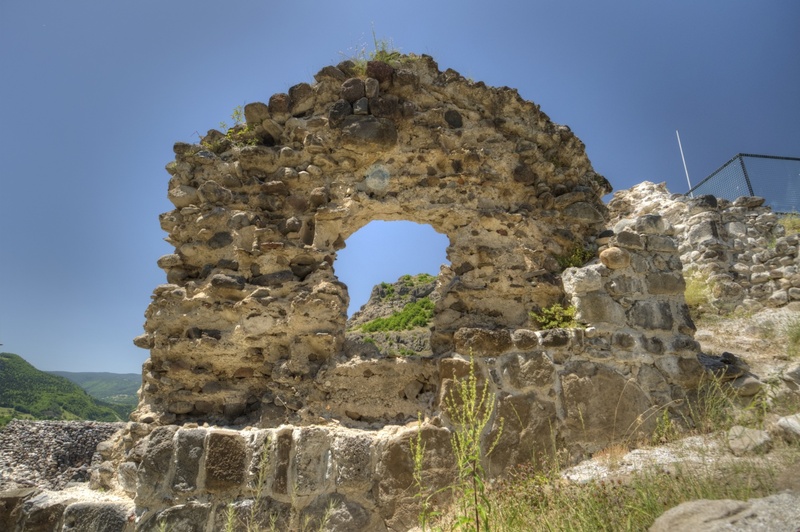 The area where the castle is situated was conquered by the Ottomans in 1547, and the beys of Şavşat resided there until the 19th century. 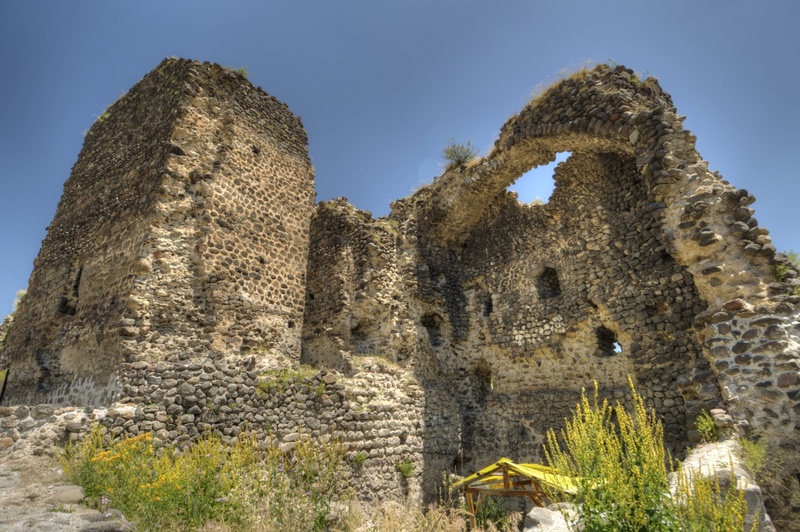 The castle was repaired during the reign of Sultan Selim II, in the second half of the 16th century. 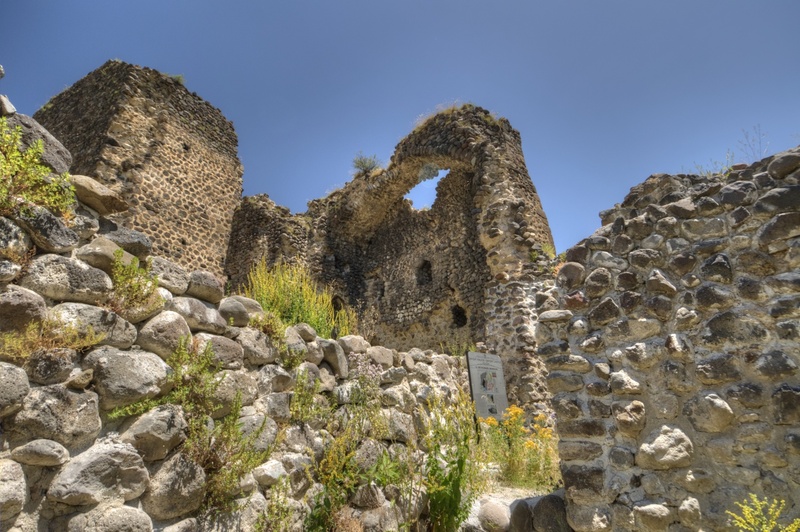 Şavşat Castle was also briefly mentioned by Evliya Çelebi, an Ottoman explorer, who visited the region in the mid-17th century. 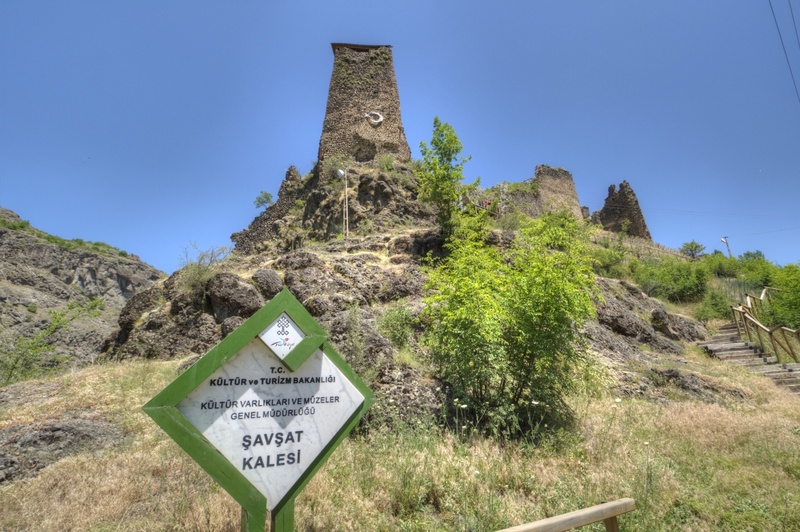 After the Russo-Turkish War of 1877-1878, Şavşat was among the territories ceded to Russia. It was only returned to Turkey in 1921. 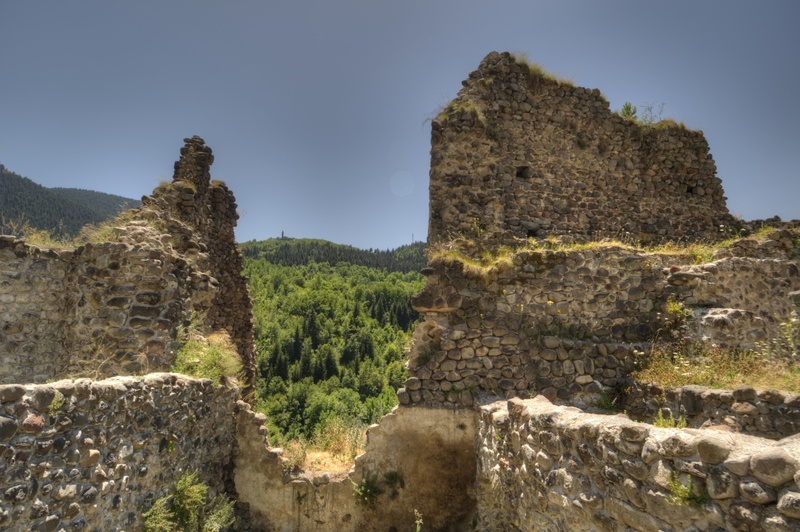 After being abandoned and left to its fate, Şavşat Castle became the point of interest for Robert W. Edwards who researched the fortifications of Artvin Province in 1983. He published his findings, along with an accurate plan, in 1986. 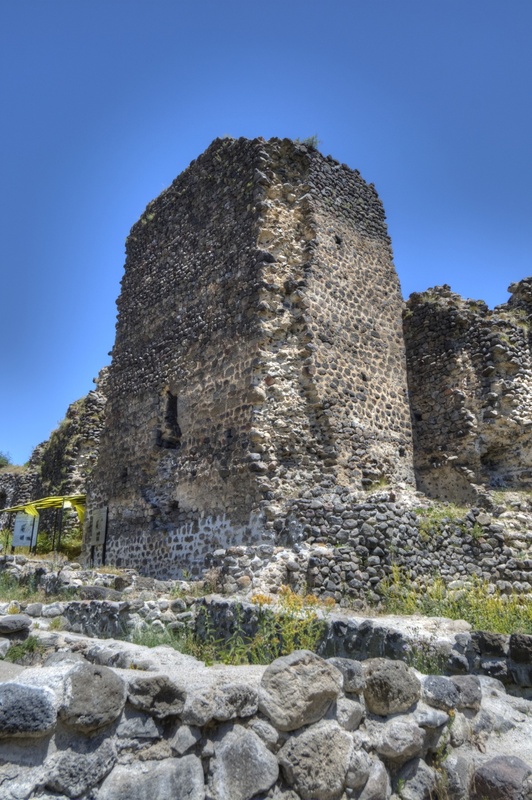 In 1987, the castle was declared Immovable Cultural Property of Turkey. 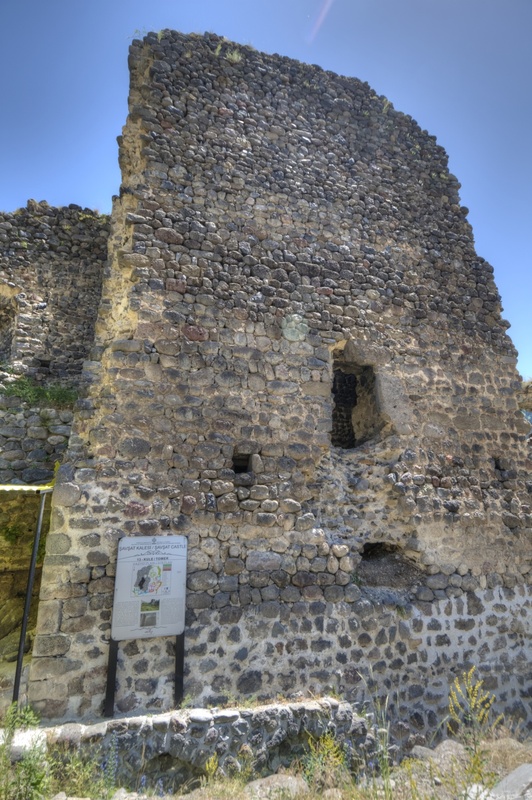 The castle became the object of interest for the archaeologists from Van Yüzüncü Yıl University. 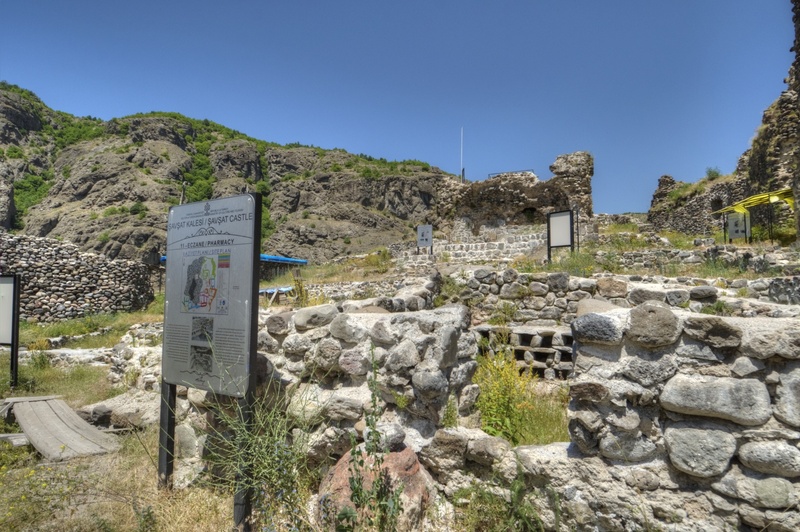 The excavations within the area of the fortress have been conducted since 2007, under the supervision of professor Osman Aytekin. 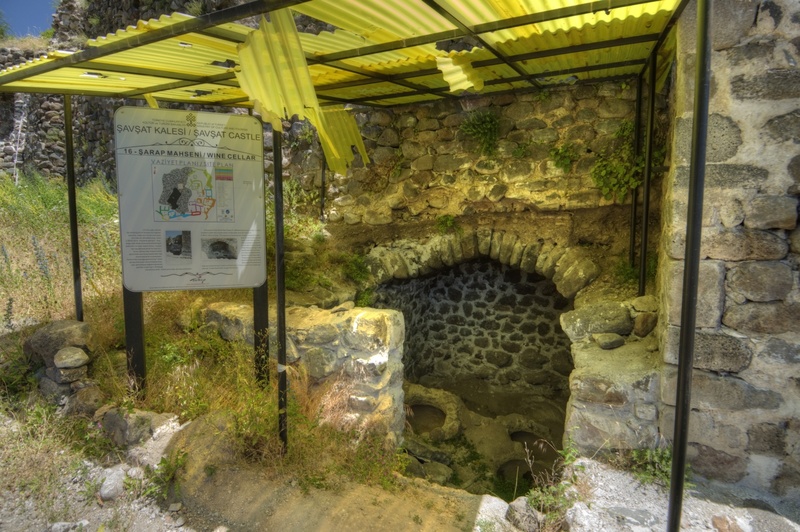 During the excavations, many architectural elements were discovered, including a wine cellar, baths, a pharmacy, a mansion of a bey, and warehouses. Among the smaller finds, there were gold and silver coins from the period of Sultan Suleyman the Magnificent, stone cannonballs, and ceramic vessels. These artefacts are now stored in the Archaeological Museum in Rize. Recently, the restoration and reconstruction works have been initiated, to turn the castle into a major tourist attraction of the region. 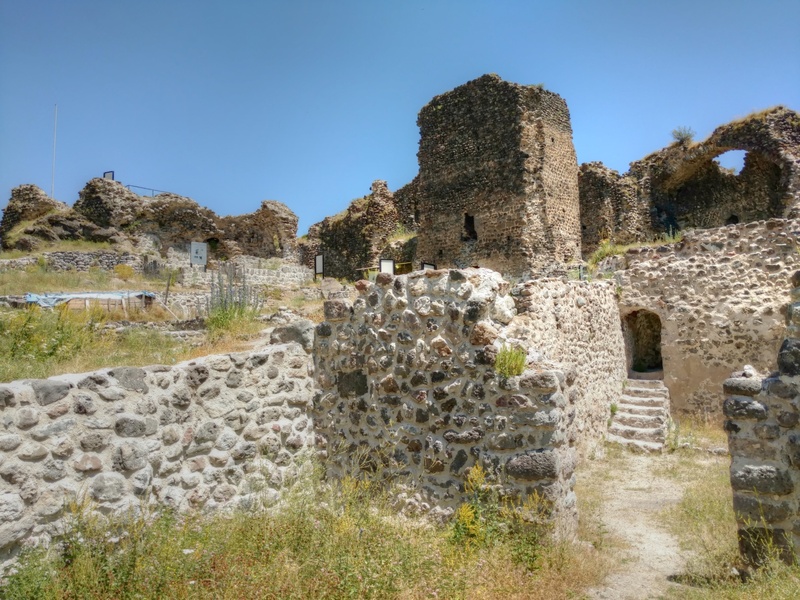 Şavşat Castle has an oval plan, and it has an impressive circuit wall with strategically placed towers and rooms, including two small chapels. In some places, the walls reach the height of 10 meters, and the towers are 20 and 15 meters high. The castle is strategically situated on a flat summit of a small outcrop. 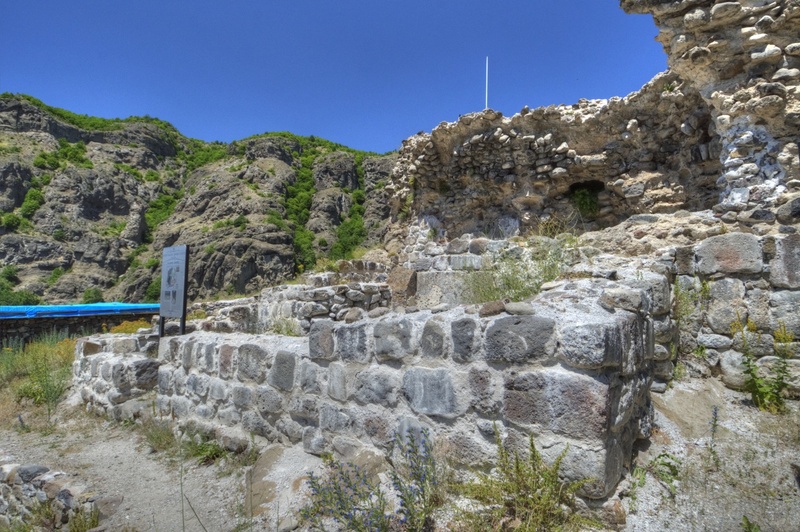 Cliffs, located to the north of the fortress, restrict the access to the route connecting Artvin and Veliköy. The masonry of the fortress was used in a consistent manner. The exterior-facing stones are roughly cut square and rectangular blocks. The blocks facing the interior of the castle are smaller and less carefully cut or aligned. 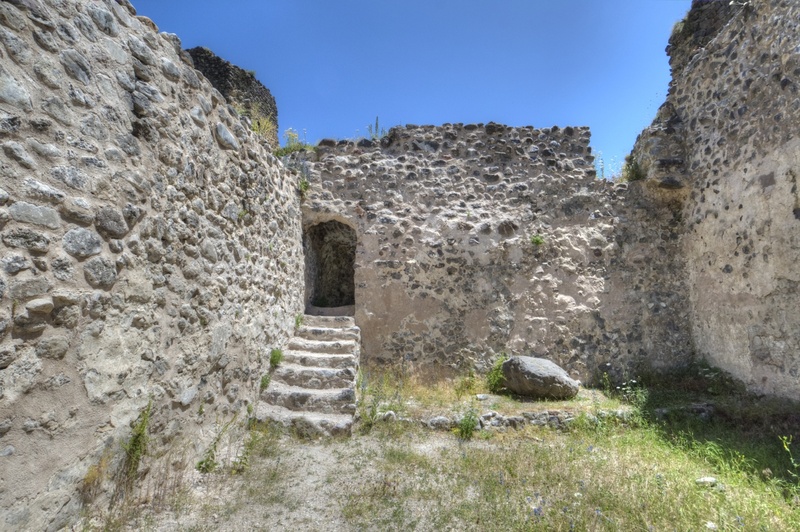 Inside the fortress, there are numerous buildings and structures to be seen, but it is not possible to get inside the towers. The building identified as the mansion of a bey was originally a two-storied structure. It also has a basement where a wine container was found. The mansion constituted a part of the fortification walls, and its very thick eastern wall protrudes outwards from the walls. The inner dimensions of the mansion are 7.65 to 11.70 meters. The best-preserved element of the mansion is its eastern wall. There are windows in two rows, facing outside the castle and providing the view of the surroundings. There are two preserved towers of the castle. One of them is located to the north of the bey's mansion. It is the lower of the towers, at present rising to the height of 14.75 meters. Its upper section was demolished at some time in the past. This tower was erected of a rectangular plan, with the sides 3.60 and 7.25 meters long. There is only one entrance to the tower, on its western side. The eastern wall extends parallelly to the fortification wall. Besides the defensive purposes, the tower was also used as a storage area as some wooden beams were found inside. The second tower stands above the southern section of the walls, just to the right from the entrance. This structure, 20 meters high, is covered with a wooden roof. Just to the north of the lower tower, there is a space identified as a wine cellar. It's a rectangular room, with inner dimensions of 2.80 and 5 meters, covered with a vaulted roof. The structure, dating back to the medieval period, still has seven wine containers, buried in its floor. 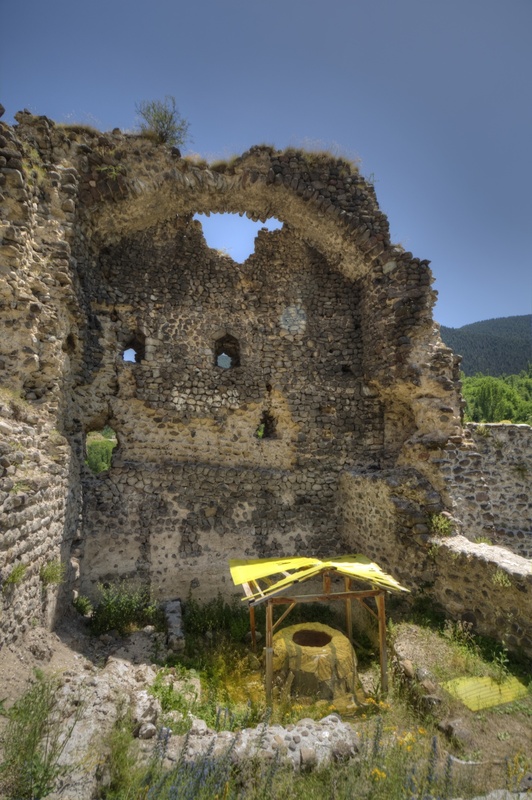 The ruined pharmacy is one of the most fascinating structures discovered within the castle. The only part of the building preserved to our time is its basement. This almost square place has very thick walls, and it could be accessed down the stone stairs, from the opening in the eastern side. The identification of this place as a pharmacy was possible because of storage shelves inside the walls, made of brick and stone. 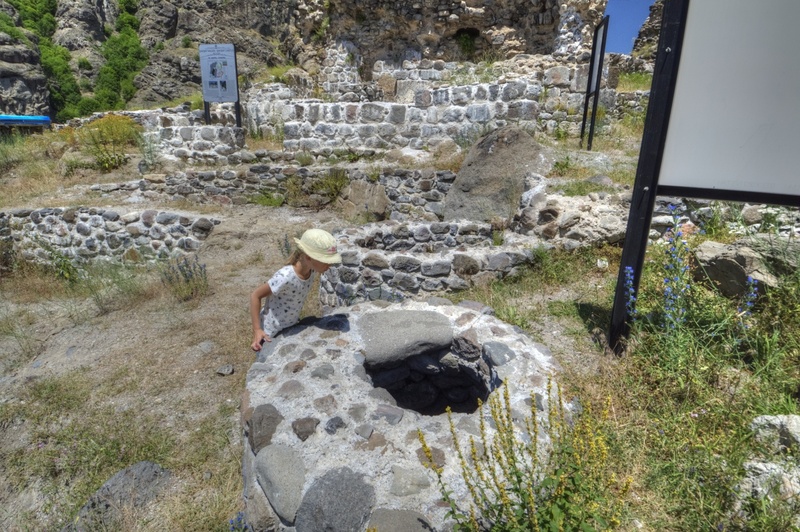 Within the castle, there are also traces of a chapel, a bathhouse, a warehouse, and cisterns. The castle can be accessed via the modern stairs that facilitate the climb up the steep hill. There are no official opening hours, and the entry is free of charge. The castle might be closed in winter season as reported by some unfortunate visitors. A fountain with refreshingly cold water flowing directly from the mountains is situated at the car park next to the castle. 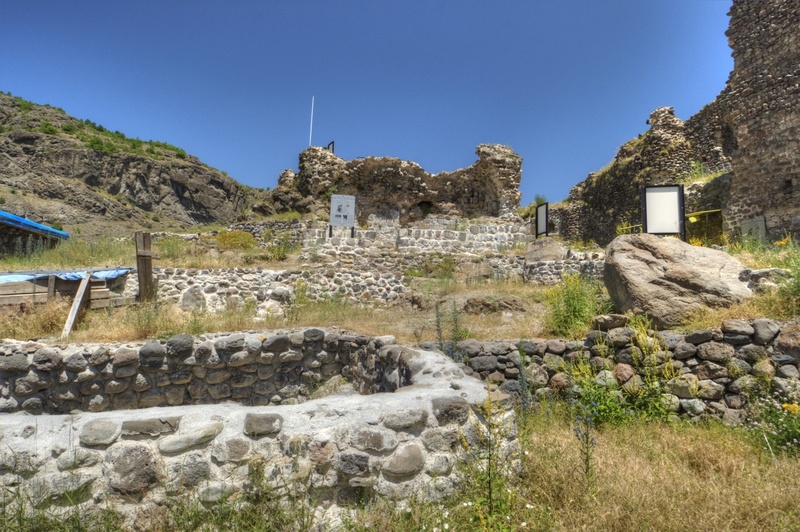 Inside the fortress, numerous information boards provide information on the visible structures, in Turkish and English. There are some walkways prepared, but it is necessary to mind the step to avoid falling. 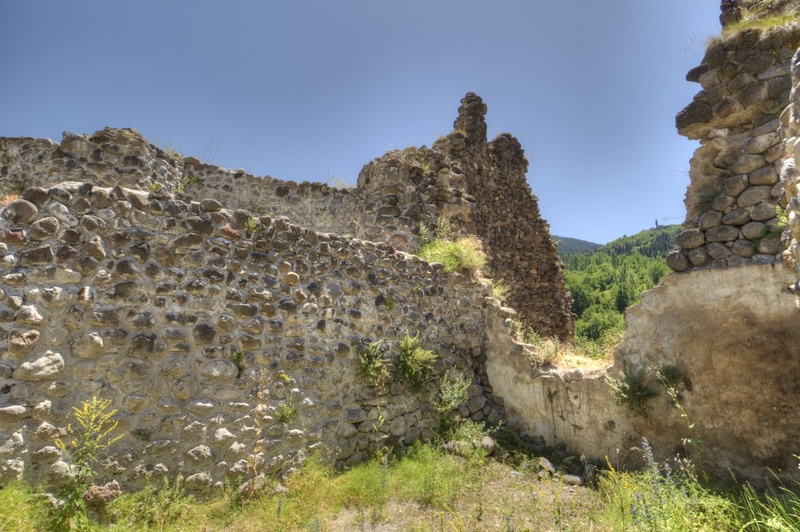 Şavşat Castle is situated 4 kilometres to the west from the centre of Şavşat, on the Artvin-Ardahan road D010, at the confluence of two streams. Ardahan is 52 km to the east and Artvin is 67 km to the west.